Our guide will pick you up outside the customs at Capital Airport and then transfer you to downtown area for the hotel registration. The remaining time of the day is free for you. 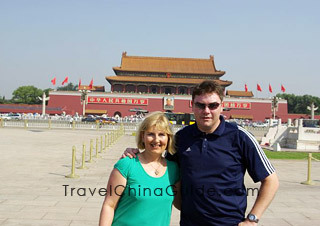 You will come to the city center to visit Tiananmen Square and the Forbidden City this morning. As the largest city square in the world, Tiananmen Square is surrounded by many magnificent and important constructions. To the north, you could find the splendid Forbidden City, the palaces of which were built layer upon layer. Besides these top royal buildings in classical Chinese architectural style, there are also many priceless historical collections exhibited in this largest imperial palace complex. 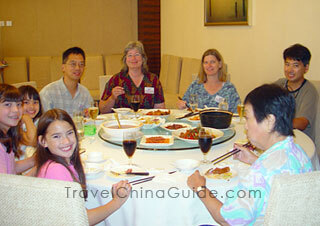 Then to avoid the mass-produced food at the cheap tourist eateries arranged by most agencies, we will serve you an a la carte lunch (valued at CNY150.00 per person and included in our price) at a very nice restaurant, where you will taste the authentic Chinese food. This afternoon will be spent touring around the Summer Palace, the existing largest royal park. Different from the solemn Forbidden City, the park inclines to be more enjoyable by focusing on charming and peculiar natural scenery. The private car will drive you to Mutianyu Great Wall in 1.5 hours this morning. Constructed 650 years ago, Mutianyu is one of the best-preserved sections of the Great Wall. You can challenge the steep wall lying on the up-and-down mountains by taking a round trip cable car. In the afternoon, you will get back to downtown area and visit the Temple of Heaven. Because ancient Chinese believed that the heaven was round and the earth square, this imperial temple was constructed with a semicircular northern end and a rectangular southern end, representing the connection of heaven and earth. While driving back to the hotel, you will see the two outstanding buildings of Beijing Olympic Games, the Bird's Nest (National Stadium) and the Water Cube (National Aquatics Centre). A morning flight will take you from Beijing to Lhasa, where the altitude is 3,650 meters above sea level. Our guide will be expecting you outside the baggage claim area of the airport and then transfer you to the well-located hotel. After the hotel registration, it is suggested that you have a rest at the hotel to acclimatize yourself to the high altitude. Neither of bath and vigorous activities is suggested upon arrival on the first day. Today's first stop is Tibet Museum, where a large number of cultural relics show the glorious history and unique culture of the region. After having lunch, continue to the Sera Monastery. As one of the three largest monasteries of Gelug Sect of Tibetan Buddhism in China, the Sera Monastery houses many precious Buddhist statues, sutras, murals as well as gold and silver wares. Today's last stop is the Norbulingka Park which was the summer resort for the Dalai Lamas. Now it has become a complex park with ancient buildings, gardens and natural landscape. 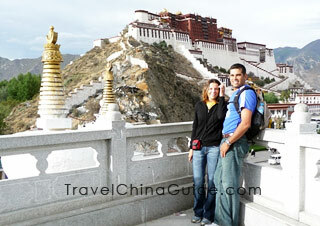 It will be a memorable experience to the magnificent Potala Palace in the morning. Initially built in the 7th century during the Tang Dynasty, it is a cluster of palaces built in castle style. After the reconstruction in the 17th century, the Potala Palace has become the residence of Dalai Lamas and the political and religious center of Tibet. After enjoy a delicious lunch, proceed to the Jokhang Temple. With a history of over 1,350 years, the temple houses many valuable historical items, reflecting the history and culture of Tibetan Buddhism as well as the good relationship between Han and Tibetan people since the Tang Dynasty. From the temple, you could walk to the bustling Barkhor Street which is congested with unique stores selling local featured handicrafts. Today's private schedule will come to an end after visiting a Nunnery. After breakfast, your guide will transfer you to the railway station and you will take the soft sleeper train to Xian. The train journey will take you about 33 hours and there is only a limited choice of food on the train, so we kindly suggest you prepare some fast food and snacks in advance for your lunch and dinner. Riding the railway at the highest elevation in the world should bring much excitement and wonder to your trip. This is truely worth all the effort to take the train. Pick up at railway station. Railway station-hotel transfer. The whole train journey from Lhasa to Xian will pass by Nakchu, Golmud, Xining and Lanzhou. It will arrive at your final destination in the evening. Our local guide will meet you at the railway station and transfer you to the hotel. Hope you will have a good rest tonight. Your private Xian excursion starts from the well-known Terracotta Warriors and Horses Museum, which is regarded as the world's eighth wonder. The lifelike warriors and horses are orderly arranged in battle formations, revealing the mighty forces of the Qin Dynasty about 2,200 years ago. 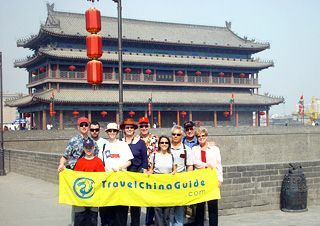 In the afternoon, the trip will be extended to the Buddhist Big Wild Goose Pagoda and Shaanxi Provincial History Museum. The ancient Xian City was surrounded by a square City Wall and the moat 600 years ago. You will climb up the wall to have a leisurely stroll this morning. Different from the steep Great Wall, the City Wall is flat enough on the top. Later, pay a visit to a local family to know about the local people's life and a la carte lunch (valued at CNY120.00 per person and included in our price) will be arranged in the home of the family that you visit, to taste the authentic home cooked Chinese dishes. 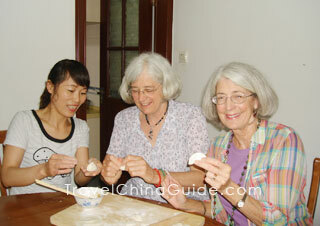 Our specially arranged Chinese food cooking class in the family visit welcomes you to participate. Afterwards, continue your sightseeing to the Great Mosque. Then your guide will transfer you to the airport and help you board the flight. Please tell me which month is good to travel Lasha and Xining. The best time to Lhasa and Xining is from June to September. Well, you can stay in Xining for one day to enjoy the classic attractions. If time permits, Qinghai Lake should not be missed. Would your guides provide advice for places to eat, in the different locations, the meals not included? Yes. 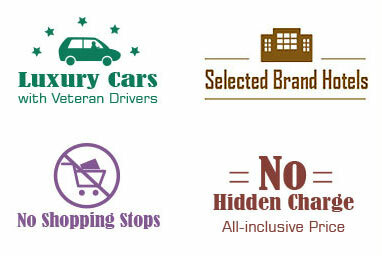 For meals excluded, you may ask your guide for some advice and your guide will be glad to recommend local flavor and proper restaurants for you. Are in-country plane and train tickets included in package quotes listed on website? 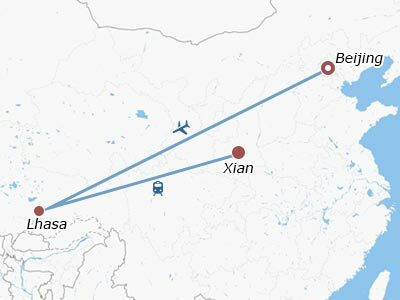 Does your price for the Beijing-Lhasa-Xi'an package include the plane ticket to Lhasa, the train ticket back to Xi'an, and the plane ticket from Xi'an to Beijing? 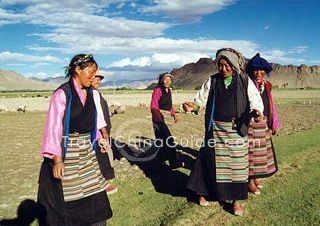 The price for this package include the flight ticket from Beijing to Lhasa and train ticket from Lhasa to Xi'an. The flight tickets of arrival in Beijing and departure from Xi'an are not included, but if you request, we can also arrange it for you. Does the train from Lhasa to Xi'an has non smoking room? Since the train is equipped with oxygen supply equipment, all the carriages are non smoking ones. I hope to catch the train from Golmud to Lhasa but am unsure of the permit details. Do i need a permit upon entry into the city? Yes, the entry permit will be required when you visit Lhasa and you should have it before you board the train there. By the way, please notice that the train tickets in and out of the city are in great demand during the high season,so you'd better book that in advance.